The Red Boat, Oil 8" x 10"
I did this painting yesterday and had some fun with it! Hopefully you can see the bright orange color of the underpainting peeking through! Thanks for your tips on photographing artwork. I can't wait to try them tomorrow! How Do You Photograph Your Artwork? Lift at Mammoth, Oil 8" x 10"
In my last post I made a reference to the fact that I was told that the pictures of my paintings on my website don't do justice to my actual paintings. So, I would like to ask all of you, "How do you take pictures of your artwork?". I just go outside in the bright sun, lay my art on the ground and take a photo from above. Then I sometimes adjust the brightness and color on my computer. Are there any great tricks to getting better pictures? My youngest son was fortunate to spend Spring Break this past week in Mammoth so I did this painting as a gift for the family that hosted him for the week. Sadly my oldest son had to stay home and swim six hours a day so the rest of us stayed home with him to provide moral support! Three Boats, Oil, 11" x 14"
One of my goals this year is to show my art at a local venue in a big way (like 25 - 30 paintings). Earlier this year I set my sights on one of my favorite restaurants in Pasadena. The restaurant is amazing. Fantastic food, wonderful and friendly environment and amazing art on the walls! This particular restaurant showcases a different artist every five weeks or so. The artists are wonderful and the paintings sell. So a few weeks ago I spoke with the owner and she promised to look at my website. No luck! So, I went back this week and took in my portfolio. The owner remembered looking at my website ... but she wasn't sure if my art would sell in her restaurant. She was very nice and still took the time to look at my portfolio. She still wasn't sure about my work so she asked me to bring in three of my paintings. So I didn't waste time and brought them in the next day ... and she really liked them! She said the paintings looked very different than on my website and she would like to do a show with me this year. Yippee! Julienne's, Oil 12" x 12"
Last night I worked on this painting until after midnight. When I went to bed I didn't like it and I was disappointed because I wanted to include it in the show I hung this morning. But when I woke up this morning it didn't look so bad ... maybe the painting fairies fixed it while I was sleeping? Today was one of those days ... I spent the early morning hanging ten paintings for a show in San Marino at Studio Physique. 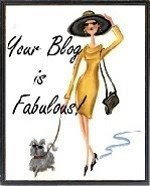 When I got home and signed on to my blog I find that I have been awarded three blog awards today. What a nice surprise! The first award titled "A Passion For Painting" (appropriate title for my blog!) came from Liz Holm who is a multi-talented painter. 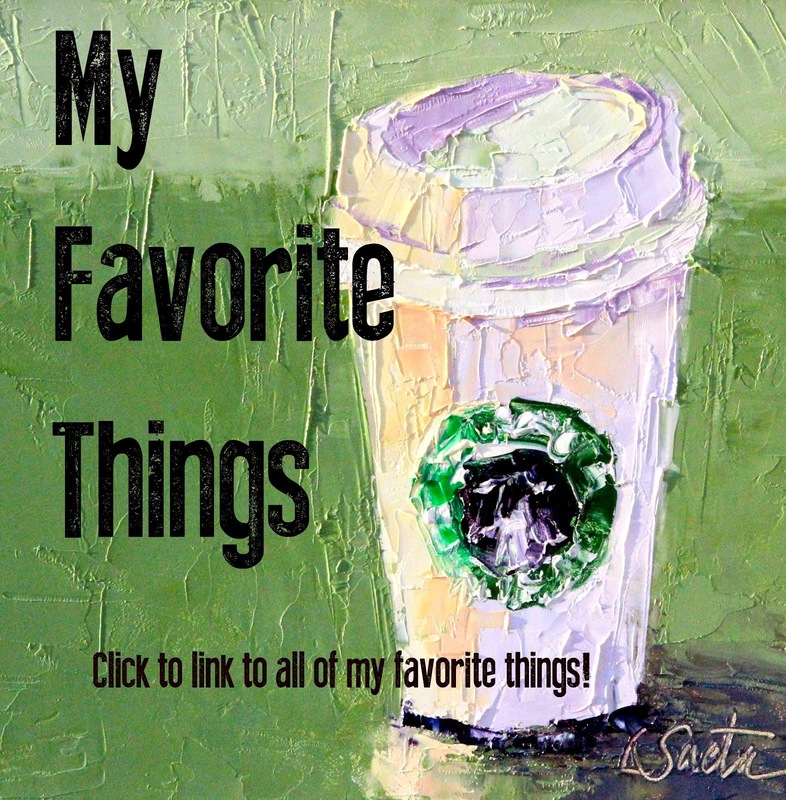 She has oil, pastels and watercolors on her blog. She does wonderful portraits but be sure to check out her watercolor rose. I think the most incredible painting on her blog is the painting called Look Up. Absolutely stunning. 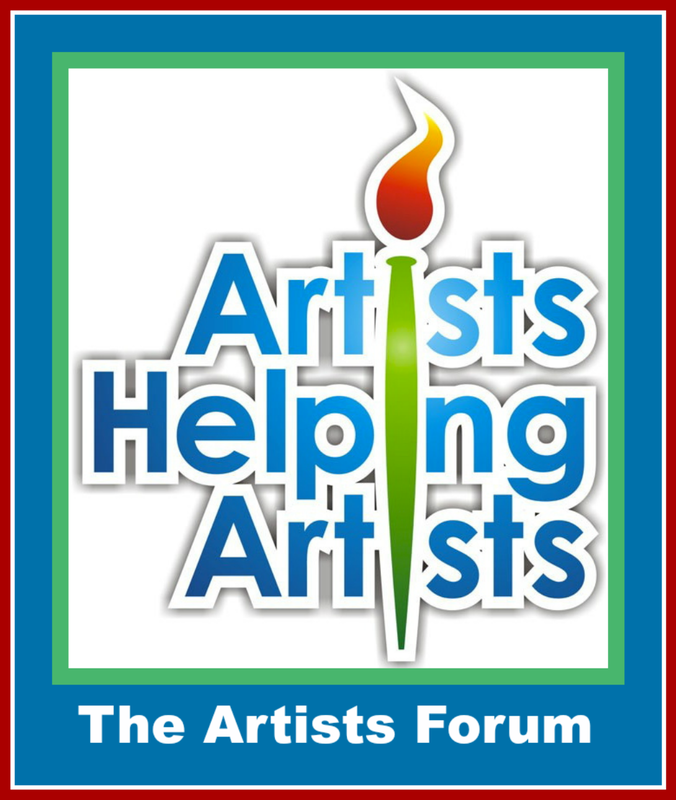 This award, created by Kim Ratigan, requires the recipient to list 7 things we love, and to pass the award along to another 7 passionate painters. Irit Bourla also gave me this award. She has a wonderful blog titled Paintings By Irit Bourla. She is a self taught artist and features people in most of her paintings. The colors she uses are wonderful. 1. my husband and my three sons. 2. that wonderful feeling you get when you look at a just completed painting and wonder "how did I paint that?". 3. my newly completed craft room (and new master bath and closet!). 5. watching my boys play sports ... even if it means driving like a maniac to three different games on the same day, at the same time, at three different locations. 6. my extended family. I am blessed with four amazing siblings and parents who raised us all to always strive for the best and enjoy life to the fullest. My husband's family is also wonderful. 7. my motto - "always enjoy every day ... because you only get once chance to enjoy today!" I was also nominated for a Lemonade Award. This award came from Kathleen Krucoff who has a wonderful blog titled Reflections of a Glass Artist. Her work is amazing and she makes the most wonderful jewelry. Be sure to check out her blog! A Lemonade Award is given to bloggers that show a positive attitude and gratitude. I think it also exemplifies people who have a willingness to share their ideas, support and online friendship. 1. Elusive Hues by Oriana Kacicek - the Tiffany boxes she paints are the most incredible paintings. One of these amazing paintings was my first painting purchased from a blog and I love it! You should see the Peanut Butter and Jelly painting my sister in law bought! 2. Carol Marine's Painting a Day - what can I say? She is only 30 years old and brilliant. Still hoping she will teach a workshop in So. Cal. soon! 3. Karen Bruson - I found her through a link somewhere and I love her paintings. The colors (exquisite blues, reds, pinks, etc.) are amazing. I had guessed that she had studied with Carol Marine and I was right! 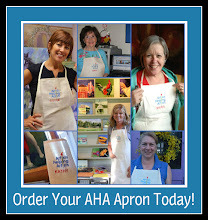 Be sure to click on her blog! 5. Bill Guffey. He inspired me to try my new "underpainting" technique. Now, I know this has been used for centuries and I am a bit behind ... but thanks for the inspiration! 6. Marian Fortunati is a very talented painter with a very fun blog. I love her comments and she is a huge inspiration to me! 7. 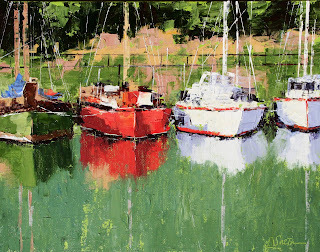 John Harrell - I love his reflections in his paintings! I will nominate ten blogs for the Lemonade award tomorrow ... I promise! I just found out that two of my paintings (pictured here) titled "Must Be A School Day" and "On Her Toes" were juried in to the Pasadena Society of Artists 84th Annual exhibit. The show will be held at VIVA Gallery in Sherman Oaks, CA from April 29 - May 16. I am thrilled! Three and a Half Boats Oil, 14" x 11"
I was really intrigued by a post last week by Bill Guffey. 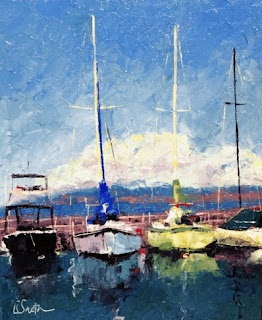 I am a big fan of his site and love that I have found another palette knife painter. In his post he showed a few photos of his painting process. The thing that really caught my attention was his "underpainting". He started with a bright red canvas and I just love the way some of the red paint "peeks through". I am a big fan of Jennifer McChristian and I always wondered if she does the same thing as all of her paintings have a subtle orange hidden about her paintings. So, I decided to try it. I had fun last night painting a whole bunch of canvases in green, orange, pink and gold. This is my first attempt and if you can't tell, the underpainting is a bright green. I am very happy with the painting and love the effect. Thanks Bill for your inspiration! Reflection of a Sail, Oil, 6" x 8"
I am not crazy about this one but I spent so much time today on the school auction (that I am in charge of) that I had no time to paint tonight! So this is the only new painting I had available to post. I will paint more this weekend! 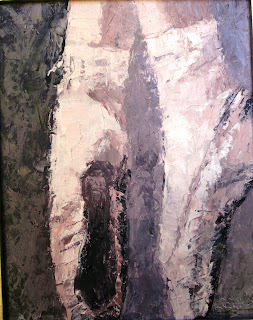 Ballet Slippers, Oil, 8" x 10"
As a mother of three boys sometimes I find the need to paint really "girlie" things. There is something about dancers that intrigues me. This is the second painting I have done of ballet slippers. I know the colors are a bit dull, but I like it anyway! 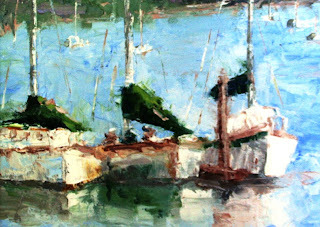 Boats on a Green Day, Oil, 8" x 10"
This is another one of those paintings that I originally did in "blues" but later on tried to change the look and feel by getting rid of all of the blue! I think it worked. I was very cautious and afraid of getting a scary, mossy green water ... so I am curious as to what you think! Rainy Day, Oil, 8" x 10"
There is a new Southern California website and they are looking for artists! 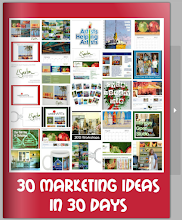 Currently they will build a website and add all of your links for free. 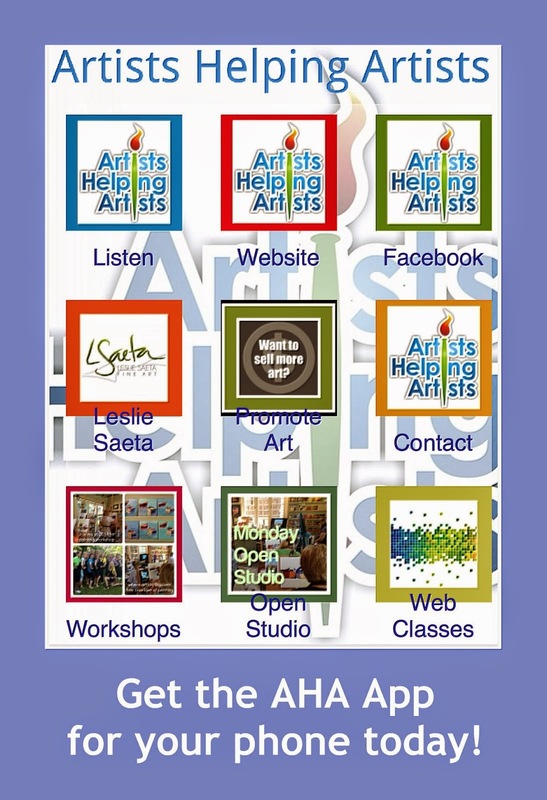 It is called artlanow.com and if you are interested you can email Nadine at artlanow@yahoo.com . Click on my link and you can see what they have built. 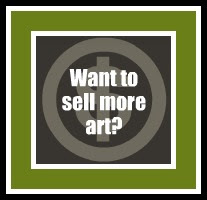 I think it is a nice opportunity for artists in the LA area. And the price is right! I painted this painting over the weekend. Loved painting those bluejeans and reflections! Chinatown, Oil, 8" x 10"
The California Art Club hosted a paint out in Chinatown a few weekends ago and I missed it. My middle son was pitching at his high school baseball game and I didn't want to miss his game. I really wanted to attend because a dear friend of ours, George Yu, was hosting the event. George is Executive Director of the Chinatown Business Improvement District and they were working in conjunction with the CAC to plan this wonderful event. I heard from some of my artist friends that the event was wonderful! Also, while I was suffering on jury duty, George was kind enough to pick me up at the courthouse and treat me to lunch in Chinatown! In George's honor I have painted my own Chinatown painting. I hope you all like it. The colors were really fun to paint! Two Trees, Oil, 8" x 6"
I like the spring colors in this painting. It is so beautiful outside today. I really hope the weather is this beautiful for the weekend. Gotta love Southern California! TGIF! I finally decided to try Karin Jurick's weekly challenge entitiled Different Strokes from Different Folks. Basically she posts a photo and different artists submit a painting of the photo. This week's picture was a photo of sushi. I used really thick paint and did this quick one this morning. It was fun and I am glad I tried something different! Lonely Palm, Oil, 10" x 8"
I was so unhappy with the painting I posted yesterday that I just had to post something else! Funny that it bothered me so much, but I just wasn't happy with the painting. I will probably scrape it and start over ... I guess that is the beauty with oils! I have my fingers crossed that my jury duty experience will end tomorrow. It has been long enough ... and it is time to get my life back! And get back to painting. Reflections IV, Oil, 6" x 8"
I spent a lot of time this weekend doing "art things" as my husband referred to it. I went to the Verdugo Hills Art Association meeting on Friday night, saw a wonderful abstract demo and actually won the "Artist of the Month" award for my Rooster painting, which is in a previous post below. It was my first meeting, so that was a surprise. 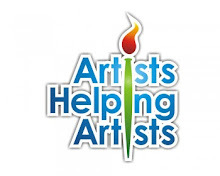 Yesterday I went to the San Gabriel Fine Arts Association meeting and saw another presentation by Roderick Smith about his travels and watercolor paintings in Alaska. I won the raffle, so I took home the demo watercolor painting! 1. Laurie Allee at Glimpses of South Pasadena. When I first started my blog she was the first person to mention my blog and she really encouraged me to keep it up! Her photos are amazing and have inspired many of my paintings! 2. Marian Fortunati at On Painting Daily by Marian Fortunati. She also has been wonderful and I love her blog and paintings. 3. Robin Cheers at A Painter's Journal. I love her paintings and I think the fact that she does "live" wedding paintings is about the coolest thing I have ever heard of! 4. Karen Winters at The Creative Journey. I have bothered her more than any other artist for advice so thank you Karen! Your paintings are lovely! 5. Karen Jurick at A Painting Today and Different Strokes from Different Folks. Her blogs are a true inspiration. Her challenges are fun and I am going to finally enter one this week! I love her museum themed paintings and she is amazing! 6. Dori Dewberry at Dewberry Fine Art. She ia a great painter. Finally, this painting was a quick one ... wanted to get it posted before I head back to jury duty! I don't like it at all ... but I am going to post it here anyway. Just to prove that I am NOT HAPPY with all of my paintings! Two Reflections, Oil, 6" x 8"
I painted this one last night after a long day on jury duty. I felt a bit rushed and frustrated but I liked it a lot more when I saw it on my easel this morning. Funny how that always happens. Hope you like it! From the Bridge, Oil, 7" x 5"
This painintg is for sale. I painted this painting after I spent a wonderful weekend in San Francisco with my girlfriends. I know the colors are crazy, but they just reminded me of the weekend! Besides, the Golden Gate Bridge, in all of its splendor, really is bright orange! I promise not to rant on about my jury duty experience. In fact I now legally can't ... since I did make it "in to the box". Should make for an interesting week. Not much time for painting but I plan to get ahead this weekend. I will have to! I think I have good news about the Small Images Show I entered last weekend. More about that tomorrow! Twelve Angry Men and Women? Favorite Boats, Oil, 8" x 10"
I spent my entire day in downtown Los Angeles at the criminal courts building today. My number was up and it was my turn to "serve" on jury duty. I am amazed that when I entered the building at 7:30 am I was determined to get out of it ... when I left at lunch I was intrigued ... and when I left for the day at 4:14 pm I was disappointed that I might not end up on the jury. I can't talk about the case (strict instructions from the judge) but I can tell you that I do not think they will get to me before the 12 chairs are full and the jury is selected. I guess that is fortunate for me, but it is intriguing. I am frightened by the responsibility that this jury will have in determining one man's fate, especially since he is accused of ... well ... a really, really, really bad thing (am I being vague enough?). My favorite part of the jury selection process was when the judge asked "How many of you are either related to or personally know any lawyers?" ARE YOU KIDDING ME? Who doesn't know a lawyer? I think at least ten live on my street. I also can't help but wonder how many of the 55 individuals in the room answered the question honestly when the judge asked "Which of you sitting here has been charged with a crime?" Apparently DUI's are as common as traffic citations these days. And one incident was "so bad" a woman had to tell the judge and attorneys "secretly" what she had been accused of ... now that got me wondering! Late in the day I was focusing on the ten individuals currently sitting in the jury box ... they all looked a little frightened, scared and intrigued. I can't blame them. This one is a biggie. I am curious if any of you have any interesting "jury duty" stories. Hopefully when this thing is over I can share mine. I am posting more boat reflections today because the painting I started this morning, that I thought would be great, has been "scraped" twice. I think the scene I am painting is too busy and I can't figure out how to simplify it ... I think I am afraid I will lose too many of the reflections. So I have finally put it aside and moved on to another painting. I have learned recently there is a time to walk away from a painting before I get too frustrated. If I don't I might not paint again for weeks. I wonder how many other artists experience daily highs and lows of good and bad paintings. Some of the blogs I visit regularly have beautiful paintings every single day. With me however, I find that one day I will be on a roll and have so much success ... and yet my next painting will be a flop. Go figure. It's kind of like the first night your baby sleeps through the night ... all mothers try to duplicate everything they did the day before convinced the daily routine was the reason their precious child finally slept through the night ... only to find out it was a complete fluke. My paintings are a bit like that! There appears to be no rhyme or reason why they work one day and why they don't the next! This week's theme will be "Reflections" again ... Send me your ideas for future themes!